The "colatura" (salted anchovy sauce) is a typical and traditional specialty of Cetara. It consists in an amber coloured liquid, with a strong flavor, obtained through a particular procedure of local anchovies, caught in the Gulf of Salerno. 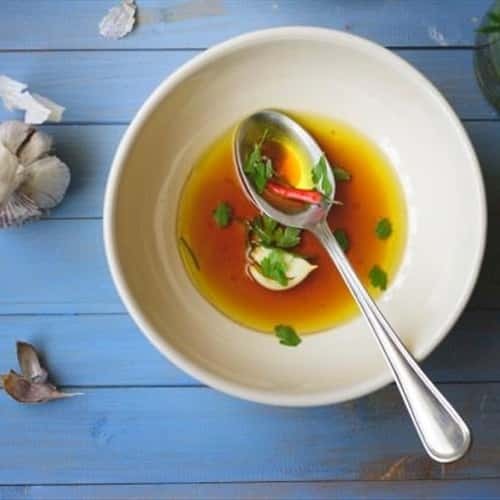 It represents the most noble descendant of the Roman garum, the fish sauce used by the Romans to flavor their dishes, also described by Plinio and Horace. 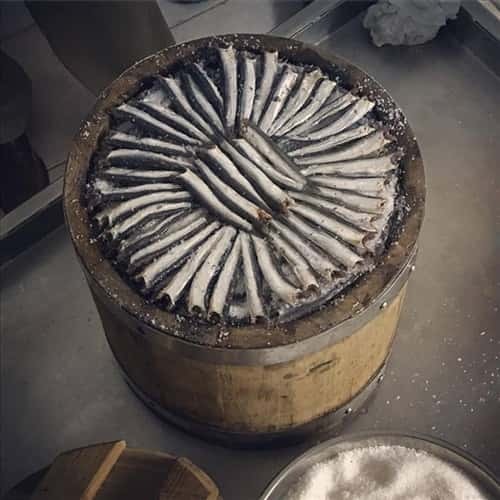 The raw material are local anchovies, caught by fishermen between March 25th (Annunciation Day) and July 22nd (St. Magdalene Festivity); the freshly fished anchovies are rid of the head and the interiors and then laid in a container, covered in sea salt and left for 24 hours. After the first salting, they are put in a small barrel, called terzigno and covered with a wooden disc with weights on it. The liquid secreted for effect of the pressure and the aging of the fish starts coming to the surface. 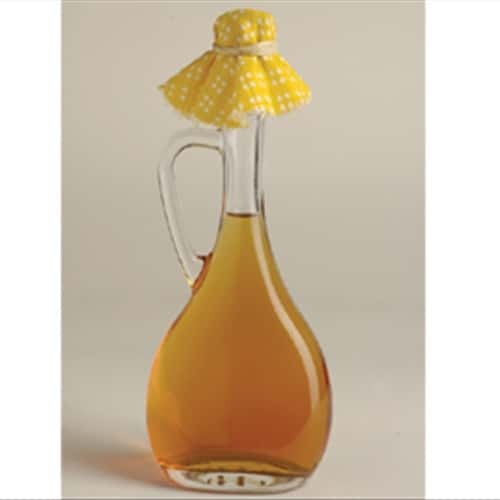 This liquid is the base for the "colatura": it is progressively collected, poured in big glass bottles and exposed to direct sunlight for about 4 to 5 months, to allow the water to evaporate and increase the concentration, therefore between the end of October and beginning of November everything is read for the final phase: the liquid collected and preserved us poured back in the terzigno still full of the anchovies. Dripping through the various layers of fish it will collect the best part of the organoleptic characteristics. It is then recovered through a hole in the terzigno and transferred to another container and filtered using linen cloths called cappucci. In Cetara it is used as a spaghetti sauce during Christmas vigil, or to season bruschette, Christmas broccoli and other vegetables.